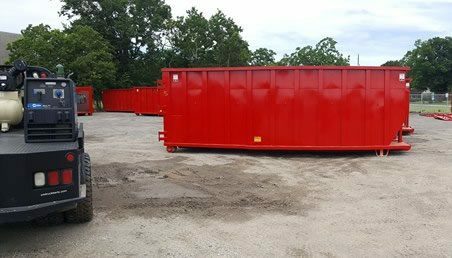 When you rent one of our next day dumpsters in Germantown MD… You will be able to organize and dispose of your rubbish as soon as your Dumpster Rental Germantown arrives! We offer speedy delivery to your home, firm, organization or work site exactly when & where you need it. With 1 quick phone call, you will get your container delivered to you within one business day of booking. On many occasions you can even have your dumpster delivered on the same day. So in short… If you need to Rent A Dumpster Germantown MD your only call need to be We Got Dumpsters Toll Free at (301) 328-2001. Our top priority is to make the process of booking a next day dumpster rental Germantown MD stress-free. 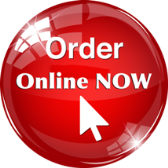 The customers payment is secured over the phone at the time of ordering. We accept all major credit cards including Visa, MasterCard, American Express and Discover. Our expert customer service reps will help you decide the best Germantown Rent A Dumpster needs. We Got Dumpsters make it a point to be environmentally friendly. With to EPA guidelines… there are certain items that cannot be put into our containers. These bio-hazardous materials include batteries, freon, fertilizer equipment containing gas or oil, paint (dried-up paint cans are allowable), liquids, propane tanks, solvents or other chemicals. Tires and mattresses can be disposed of for an supplementary fees. We absolutely use certified landfills and waste recycling centers in Virginia, Maryland and Washington DC which have the best recycling practices. With exceedingly skilled and trained men & woman, We Got Dumpsters knows only to give the most professional and efficient service there is. We Got Dumpsters roll off is a convenient and simple Rent A Dumpster Germantown Maryland solution to your waste management needs. We Got Dumpsters roll off is an on-demand waste management rental service that caters to all your waste management needs. We have small containers and dumpsters to get rid of your personal junk and big construction dumpsters to take away any waste and debris in your area. We Got Dumpsters deliveries next day dumpster rental in Maryland is always convenient and quick in Germantown Maryland. If you are in the Washington DC Metro Area and looking for an efficient dumpster rental service to rid yourself unwanted trash, We Got Dumpsters roll is the answer to your needs. We Got Dumpsters offers a range of services from personal dumpsters to big, construction dumpsters that can efficiently take away the waste surrounding your area of work or home. We Got Dumpsters is a locally based company out of Maryland & Washington DC our dumpster service is fully licensed and insured. Assisting local residential and commercial clients with Waste Container Rentals and Junk Removal Work for over 20 years. We know the region and can provide our customers the best Dumpster size or Service needed. 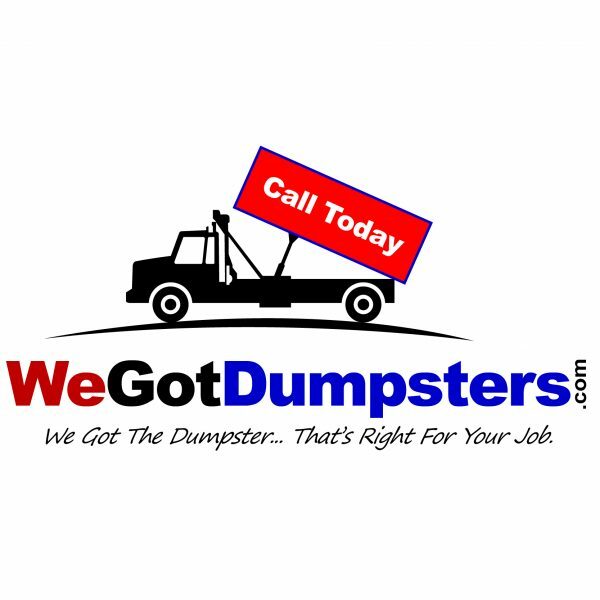 Our team is happy to assist you in finding the right Dumpster Rental Germantown MD. We recognize that it can be perplexing for 1st time customers to pick the appropriate Container Size for your plan. We are open Monday through Friday from 8:00am – 5:00pm to answer any questions you might have. We Got Dumpsters will give you our All-Inclusive upfront pricing that includes delivery, pick up and disposal. We Got Dumpster will never have any hidden delivery fees or fuel surcharges. Always offering trustworthy and clear dumpster rental prices in Germantown, Maryland! Junk Removal in Germantown MD is a service we provide to have almost any kind of trash removed from your home or business. We remove large items like appliances and furniture, we do full house clean outs, we offer demolition in many areas, we pick-up all kinds of waste and construction debris from property clean outs. Almost anything and everything (excluding hazardous waste) can be handled by We Got Dumpsters- Junk Removal Division. For Junk Removal in Germantown, MD… All you need to do is simply make an appointment. Our crews show up on time with the right equipment and you job gets done & you are free of your junk! Our residential junk removal Germantown MD offers an easy answer for clearing out clutter and hauling away annoying junk. We support homeowners and tenants in finding an easy answer for clearing out unwanted junk. We are not the HVAC guy… We show up on time and get the job done swiftly. You can feel good about working with us because we get the job done rapidly and skillfully. We reprocess more than our competitors. You can also consider us for your “green option” for junk removal Germantown MD. People love us because we provide the highest level of competence along with exceptional customer service. You get a no-hassle experience with honest pricing, easy scheduling along with fast service.  Please call today and schedule an appointment for your Junk Removal Germantown MD. When you are ready… We will arrive and haul away your junk & sweep everything clean again. We Got Dumpsters – Junk Removal MD DC & NOVA is not a national franchise that needs to over-charge to make ends meet because they have to pay their many franchise fees. Included in our Junk Removal Service area of the Baltimore & Washington DC Metro Areas is Northern Virginia. So… Please also contact We Got Dumpsters – Junk Removal Northern Virginia for the best possible value in removing that unwanted junk.